You may book a baby capsule seat for hire for the time you need. You may book a child safety seat for hire for the time you need. You may book an installation of your existing child restraint. For emergencies we may be able to assist outside of these days & hours. Models are shown subject to availability. Birth to 9 months (approx.) It fits the Chicco Cortina Travel System. The Chicco Key Fit also fits on other strollers like Bugaboo & Baby Jogger, using an adapter kit supplied by the stroller brand. Birth To 6 Months.(approx.) The Joie Gemm Infant Carrier is designed to connect with any compatible Joie Prams or Strollers & will also fit on other strollers or prams, using an adapter kit supplied by the stroller brand. Compact & easy to use. Birth To 6 Months.(approx.) 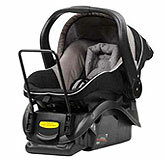 The Maxi-Cosi Infant Carrier is designed to connect with any Quinny or Maxi-Cosi stroller. The Capsule also fits on other strollers, using an adapter kit supplied by the stroller brand. From birth to 6 months.(approx.) 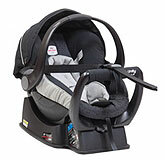 The carrier section of the restraint can be removed from the base, and a carry handle is used for transporting a young baby around without disturbing. Not suitable for pram travel systems. Prices include: Mobile Service, Hire, Installation, Pick Up. Additional rates may be applicable for areas outside of normal service areas. Safe N Sound Original Baby Capsules : The Baby Safety Capsules are manufactured by Safe_N_Sound. The type used have been in existence for many years & continue to be rated as one of the safest products for a newborn on the market, as well as one of the easiest to use. Tests carried out by independents such as the NRMA & RTA have rated them very highly in terms of Crash Test Performance & Ease Of Use. The results of these evaluations can be viewed at RTA & NRMA. The Capsules are rated to a maximum weight of 9kg & a maximum length of 700mm. They are also amongst the most compact rearward restraints on the market, ideal for smaller cars & tight space situations. They will provide drivers & front seat passengers with approximately 5 to 6cm more leg room than most 0-18kg convertible restraints on the market. They are not suitable or compatible with any pram travel systems. 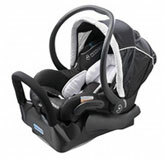 Maxi Cosi / Joie Gemm / Steelcraft Strider / Chicco Keyfit /Peg Perego/ Baby Love / Steelcraft Infant / SNS Unity Capsules : These Capsules are manufactured by different Companies. 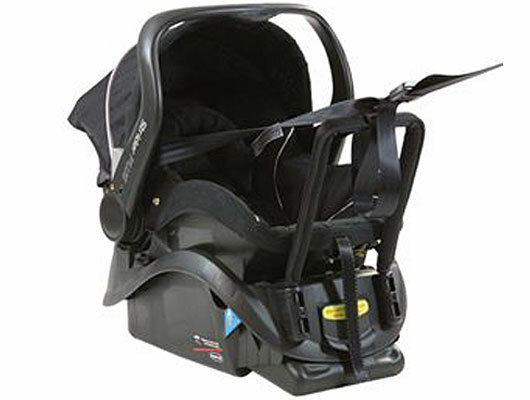 All are designed to be used in vehicles as well as pram travel systems. For specific compatibility of Capsules with certain travel systems or prams it is recommended that you consult the manufacturer to check suitability & compatibility. Subject to availability, an additional base can be hired for 2nd car set-ups. This allows you to have a capsule base secured into your other vehicle/s, enabling you to use the capsule in all vehicles without the hassle & worry of re-fitting the capsule base each time. You simply clip the Capsule carrier into the base of the vehicle that you intend to use & secure. It is that easy. The usual time a baby is in a capsule is about 6 months on average. This is the most common hire period for the Capsules. Shorter & longer periods of hire are also available. The Capsule King is an authorised service in NSW that will come out to you. Install the Capsule properly for you. Take you through how to use & adjust the Capsule. Provide all parts required to install the Capsule correctly as part of the hire. Pick up & clean the Capsule at the end of the hire period. Provide you with a Certificate stating that the Capsule has been properly installed into your vehicle. The Capsule King Guarantees The Quality & Cleanliness Of Our Capsules. All Capsules used are current standard with an inbuilt easily adjustable 5 point harness system. All Liners & Under lays used are the current standard. All Liners & Under lays are cleaned with anti bacterial washes & rinses. All Capsules are properly cleaned & maintained with hospital grade disinfectants & sterilization products. All Capsules are inspected when returned to ensure that they are in good order. All Capsules are numbered & listed on our Data Base. The Date of Manufacture is recorded. Capsules have a theoretical “USE BY DATE” of 10 years from the date of manufacture. All Capsules reaching the Use By Date are destroyed & replaced. New Liners are available for the SNS Original Style Baby Capsule for purchase at an additional cost to the hire of the Capsule. It is yours to keep at the end of the hire period. If you would like a new liner, please make the request at the time of booking your Capsule Hire. The cost of a new liner is listed in the Capsule Hire Period & Price Table. We recommend that you have the Capsule installed at least 2 Weeks before your Due Date if possible. 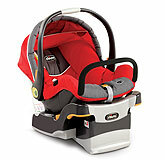 This ensures that you are organized in the event that your baby comes early. We are quite a flexible service & can generally respond to most needs within a few days if needed, however we suggest that you book in as early as you can to ensure we can help you. Ideally have the capsule installed at least 2 weeks before your Due Date or earlier & we basically let you use the Capsule until you are finished with it. This way you will get the full use out the Capsule without any hassles or extra costs. ©2008-2019 The Capsule King Pty. Ltd.